Last night I landed at RDU at 1:15 in the morning, two hours later than I was supposed to. 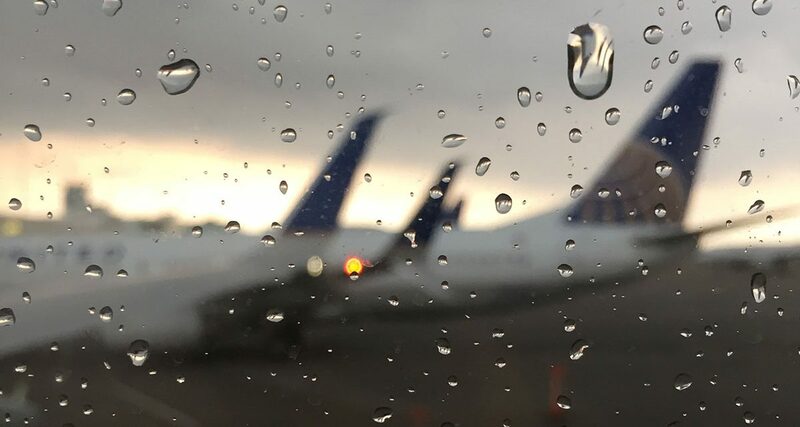 I sat on the plane for two hours at the gate, bounced around in my cramped seat through the turbulent thunderstorm, and tried to squeeze in sleep between the sound of screaming kids. But even after all that, I hopped in my Lyft car to head back to Durham with a smile on my face. I’d just spent the past three days in Denver eating good food and going over my new business strategy with my coach, David. Between our awesome meals, we hatched a plan and laid out a specific strategy on how I was going to snag several new clients. There was a logical progression from Step 1 to Step 2 and I could clearly see what I needed to carry out our plan. This was a relief, because I get caught up sometimes. I find myself spinning in circles instead of running in a straight line. I stay busy, but not necessarily productive. Maybe I have too many interests. But actually what is happening is that I’m just winging it. I know what tasks need to be done, but I don’t have a set strategy or process on how to accomplish those tasks. So what usually happens is the items that are important, especially for long term goals, get shifted down the priority list when an item that is “urgent” comes barging in the door. Terms like “life coach” or “business coach” may seem cheesy to some people, but this is exactly how a coach can help. 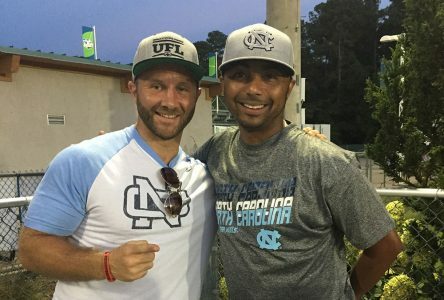 Last year, I ran into my old soccer coach, Lee Spruill, from my 8th grade traveling team at a UNC Women’s game. His daughter was a starting freshman on the 22-time NCAA National Championship team. This was the man whose lessons took me from a little skill-less redneck that only used strength and speed during recreational soccer seasons in Little Washington to the captain of the Washington High School soccer team that finally learned some finesse and ended his career with the all-time career goals record (which was shattered a few years later, but whatever!). When I saw him, I still felt like that 14 year old kid. We were essentially peers now, him being in his late 40s, me in my late 30s, but it’s his voice I still hear in my head when I’m playing in my adult competitive league, or running sprints, or even teaching my own clients. Even now, 20 years later, the lessons I learned from him shape my decisions and directions. That’s true for any good coach in sports. They have a lasting impact on us. Why does a professional all-star athlete need a coach? Because they can see things the athlete cannot. They have an objective view of what obstacles are presenting themselves and standing the way of the athlete, and therefore can help devise the plan and process to overcome them. It’s way more than just motivation. So why do we balk when we hear these terms “life coach” or “business coach?” Is it because we think we should have it all figured out? Do we think asking for help is admitting failure? Just like we need help figuring out why we struggle to hit the curveball, or to stop fouling on layups, or to bend the soccer ball into the upper 90 of the goal, we also need help seeing why we get so distracted from tasks-at-hand, or why we are scared to charge what we are worth, or why we seem so busy but don’t make any forward progress. We all have things that are holding us back. And we all need help. The effects of having someone coach you through these struggles are invaluable. Whether in business, or sports, or life, a good coach should have a lasting impact on us, regardless of what arena they operate in. David and I meet about four times a year in different cities to touch base on my long term goals. But in between those meetings, he regularly checks in on me to make sure I’m moving forward on my website, writing all my blogs, and finishing my pitch decks for clients — the business equivalent to strength training, practicing my technical skills, and running my sprints. Now when I feel stressed about work or second-guess myself, it’s his voice I hear in my head saying, “What’s the goal behind the goal? Where is this action leading? What’s the ultimate result you want from this?” and I calm down, focus on the goal, and place that ball in the back of the net.